Are you an avid skier? If so, imagine the convenience of a private shuttle to and from the slopes. Are you seeking a peaceful haven? Perhaps your vacation wish list includes abundant fun activities. You may be planning a corporate getaway. Steamboat Lodging properties elegantly meet these needs. Condo – Opt for a downtown condo with easy access to shops, movies, and restaurants. The free city shuttle will express you to the slopes. You can also choose a mountain condo, featuring majestic views. Either way, you’ll enjoy opulent decors, such as limestone floors, decorative lighting, and velvet-like carpeting. Townhouse – Prepare your meals on gleaming granite counters. Cozy up in your living room before the softly glowing fireplace. Recline on your deck, reveling in the breathtaking vistas and sweet mountain air. You have several posh relaxation options – a sauna, hot tub, and steam shower. For exhilarating exercise, there’s a fitness room and outdoor heated pool. The slopes are just a shuttle away. Gondola Home – Is your dog a cherished companion? Your pup is welcome to share in this home, nestled on the slopes. You’ll have direct access to skiing from your doorstep. Welcoming your return at the entry are boot warmers and heated stairs. The home is lavishly appointed with a heated driveway, living room fireplace, and full wet bar. Each master bedroom includes a Jacuzzi. There’s a third hot tub on your private deck, along with a grill for cooking savory meals. The game room features pool and poker tables. Chalet – Your group has room to roam in this spacious multi-level home, the Chadwick Estate. Dining areas seat 10 people and beds accommodate 14 guests. Each of the regally appointed rooms features rich furnishings and woods. An elevator and dumbwaiter facilitate access to the upper floors. Inhale the fragrant mountain air from your deck and patio. A third-floor office serves as a private workspace. An outdoor heated pool and tub are directly on your property. You’ll enjoy private shuttle service to the slopes and downtown area. Our Over the Edge Chalet takes group lodging to the next level, with a house-wide audio system and movie theater. The dining room and beds accommodate 16 guests. All our vacation properties are steeped in luxury. Each is furnished with the amenities of home, and then some. Your vacation is the perfect blend of rustic beauty and modern technology. 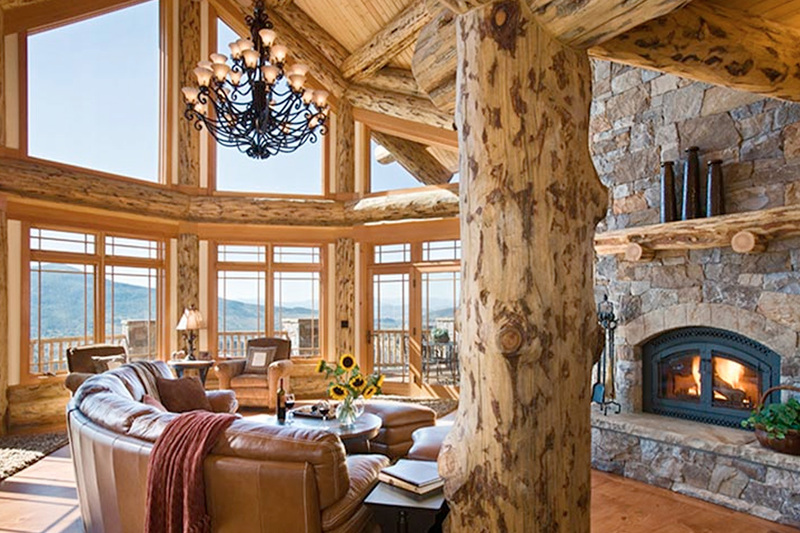 Welcome to Steamboat Lodging and a stay that exceeds your dreams!